iHeartRadio Canada–which Bell Media owns the exclusive rights to in Canada–has expanded its app offerings with an ‘enhanced’ version today. According to the company, the app now features over 1,000 live radio stations from a variety of genres from across North America. New additions include stations from Eastern Canada’s Evanov Communications says iHeartRadio Canada, which calls itself “the fastest-growing music service in Canada,” with on average 1.8 million actively monthly users, since launching back in October 2016. The service is being called the number one “Canadian radio streaming service” by Bell Media. 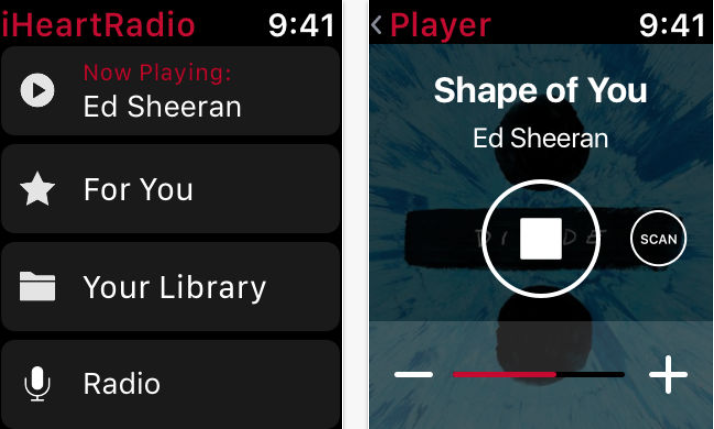 iHeartRadio Canada says they now have over 1,000 stations, over 10,000 podcasts and more commercial-free music streams. The new app update now requires users to create a Bell Media login to use the app, asking for an email, password, gender, date of birth and more (when trying to add to Sonos at least). Users in iTunes have given 1-star reviews because of this new update and its login requirement. Click here to download iHeartRadio for iOS in the App Store.